What the discovery of a skeleton over 2,000 years old tells us about the training techniques of ancient olympians. In 1959 the tomb of an ancient Olympian was discovered in Taranto, southern Italy. The Athlete of Taranto was a pentathlete, skilled in five events - wrestling, long jump, sprinting, javelin and discus. Forensic scientists determined his discipline from the skeleton. His right forearm was bigger in its shape and structure, as were his leg bones. 2500 years ago the greatest Greek athletes competed for glory in the ancient Olympic Games. Athletes competed naked to pay homage to the Gods. 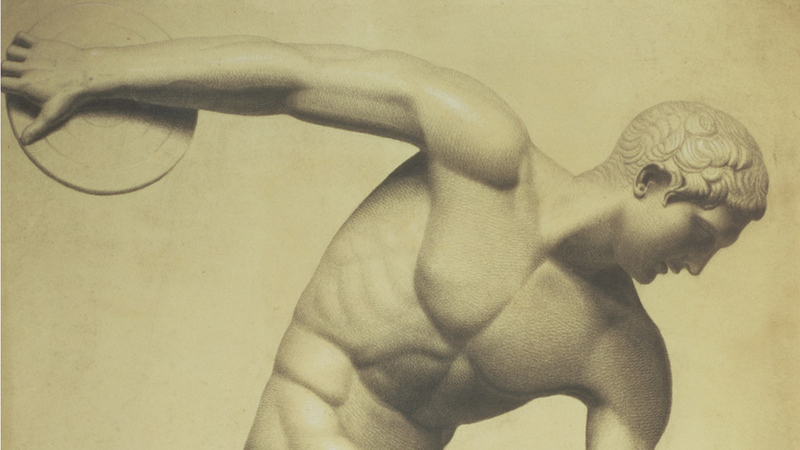 There is one survivor from these ancient times: the Athlete of Taranto, from southern Italy.